It may be the most famous dish to eat on St. Patrick’s Day, but this Irish-American corned beef recipe is a favorite in my house any time of the year. It would typically simmer all day on the stove but thanks to the pressure cooker it only takes 90 minutes for the meat to come out super tender. 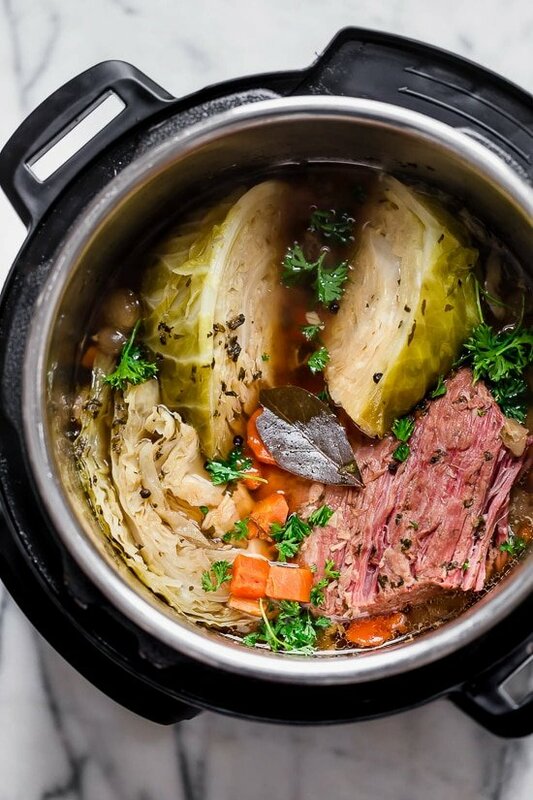 Of course, if you wish you could also make this in the slow cooker, see my Crock Pot Corned Beef and Cabbage recipe.